Do you find that you’re not getting the weight loss results you want from diet and exercise alone? 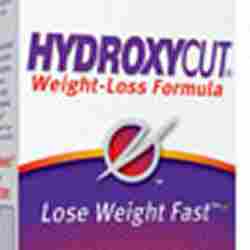 If you do and you tried Hydroxycut, be forewarned that this product has been associated with serious liver injury. The FDA has received 23 reports of serious health problems ranging from jaundice and elevated liver enzymes (an indicator of potential liver injury) to liver damage requiring liver transplant. One death due to liver failure has been reported. Other health problems include seizures; cardiovascular disorders; and rhabdomyolysis (muscle damage that can lead to kidney failure). The agency hasn’t determined the ingredient, dose, or other related factors responsible for these problems. This entry was posted on Saturday, January 16th, 2010 at 3:04 PM	and is filed under Consumer Alert, FDA/FTC/CDC, Heart Disease, Kidney Disease, Liver Disease, Obesity. You can follow any responses to this entry through the RSS 2.0 feed. You can leave a response, or trackback from your own site. « Acupuncture: Clinically meaningful and cost-effective?